Team ASSR is joining the back to school brigade Sept 7, hosting a free symposium (physical and webinar) on "Trending Technologies for Music Production in Education." The symposium comprises a series of Sessions presented by leaders in music production: educators, developers, musicians and producers. 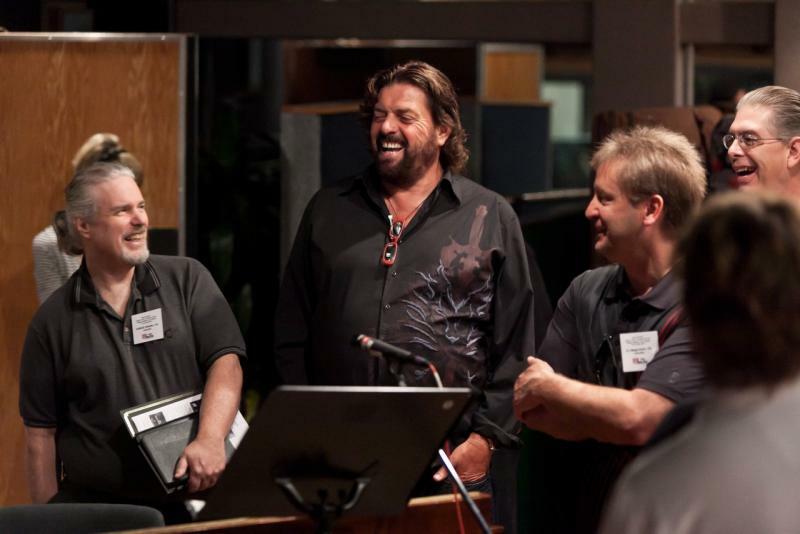 Legendary producer and engineer Alan Parsons will deliver the keynote, taking a look over the shoulder at what constituted his music production training back in the UK (not the USSR!) with The Beatles, George Martin and Geoff Emerick at Abbey Road. The event will be held live at Cabrillo College in Santa Cruz and will also be broadcast simultaneously as a webinar. Contact edu@artandscienceofsound.com to reserve your seat. Cabrillo College 6500 Soquel Dr, Digi-Lab VAPA 5136 from 2PM-7PM. Space is limited at both in-person and Webinar formats so early registration is strongly advised. First come first served. The following Sessions comprise a 15-20 minute live presentation followed by 15 mins Q&A from the floor and also questions submitted online from the webinar. The State Of Play The skinny on new music production gear, platforms, technologies, acronyms and jargon. What you need to know, what you need to buy. 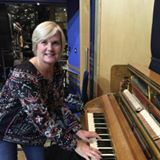 Creating a GRAMMY-winning high school music production program Dynamic educator Beth Hollenbeck tells all and talks about funding options. Music On The Move Superstar Swedish company Soundtrap talks about its powerful platform-agnostic, online DAW. KEYNOTE: Alan Parsons reflects on what constituted his music production education in London back in the 1960s. 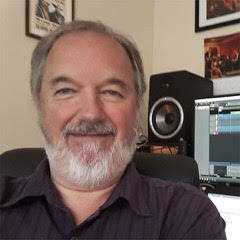 Game On FM guru Dave Bristow looks at writing music for video games, and takes a peek behind the curtain at game audio content platform Fmod. Plug-in 'n' Play Dan McFarren from leading plug-in producers Plug-in Alliance, based in Santa Cruz, reveals and demonstrates plug-in's power and potential for educators. EuroRackstars Nothing is hotter than Eurorack right now. Synthwerks' James Husted provides historical context, explores what’s going on, and explains why this format can be so powerful in education. 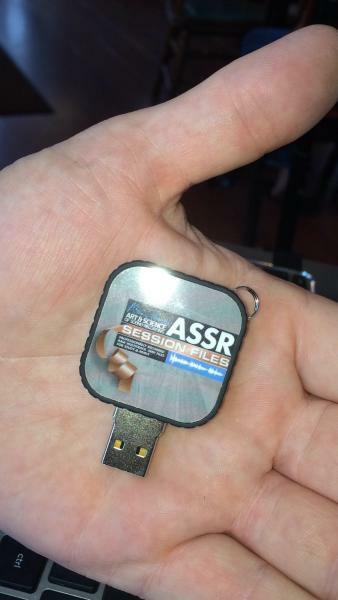 Climb Inside The Music - ASSR debuts Session Files - raw professionally recorded multitracks you can load into any DAW. The ASSR symposium is free to attend both for local educators in California’s Bay Area & Silicon Valley, and for those attending via webinar but it’s hoped that in spite of cheap talk, valuable insights into how to develop or run Music Production courses in schools and colleges will be gained by all. 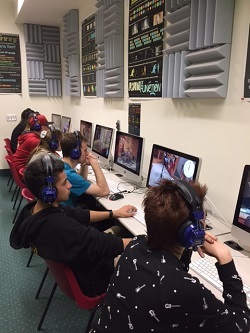 ASSR would like to thank Cabrillo College Music Technology Recording Arts Club “MTRAK” for hosting this event. Full details will be supplied in the venue and by email. James Husted is the designer and co-founder of Synthwerks, a widely acclaimed producer of Eurorack performance control modules. In addition to being a committed Eurorack player himself, James has spent many years in education, teaching electronic music. 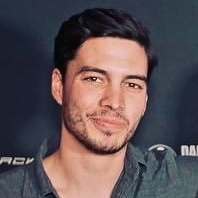 James is also an accomplished designer who has worked for numerous music and audio companies including LOUD Technologies, Digital Harmony, and Symetrix. Beth Hollenbeck is both a highly skilled educator, developing and implementing recording arts and songwriting classes that incorporate business skills and practices used for becoming a professional in the music industry, and a musician and performer in her own right with several successful records under her belt. Beth’s vision and tenacity earned her congressional recognition in 2011 as educator of the year, the same year she was awarded a GRAMMY for the creation of her music production program at Scott’s Valley High School. Beth has also been recognized in the NAMM Foundation’s Best Communities for Music Education in 2013, 2014, 2016 and 2017. 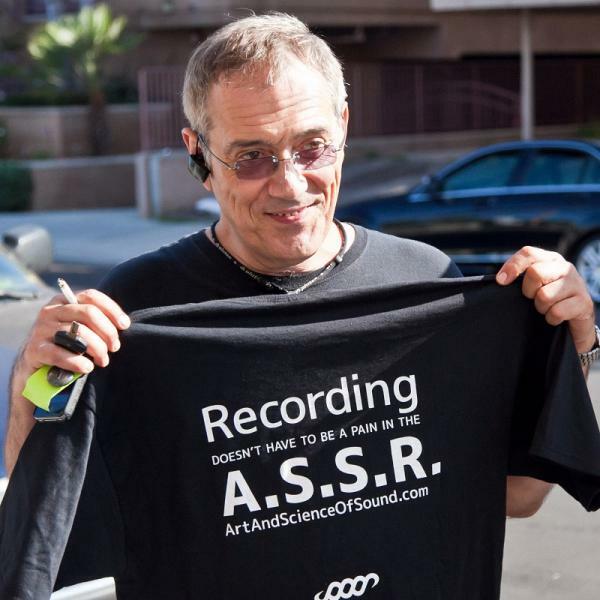 Julian Colbeck is the co-creator, producer and writer of Alan Parsons' Art & Science Of Sound Recording (ASSR) projects. Julian spent 25 years as a professional keyboard player working with the likes of Charlie, John Miles, Steve Hackett and Yes/ABWH. 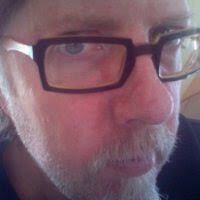 Julian began writing about music technology in 1986 with the publication of Keyfax, A Buyers Guide published by Virgin Books. 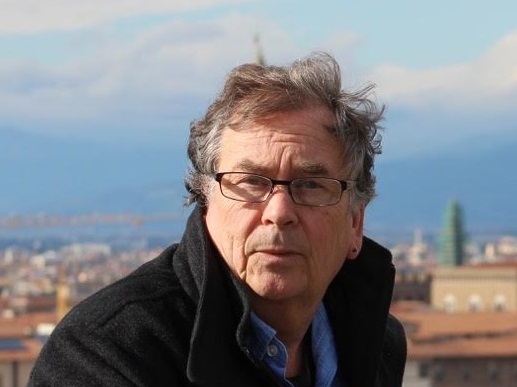 He has since written more than a dozen books on music and music tech while also assuming duties as the CEO of KEYFAX NewMedia Inc.
Dave Bristow is a luminary of the electronic music industry. An accomplished pianist with many albums to his credit, Dave was a key member of the Yamaha DX7 team, co-authoring a book on FM with Dr. John Chowning (FM Theory And Applications) and playing a central role in the original voicing of this landmark instrument. After his work with Yamaha Dave spent three years at Pierre Boulez’s research institute IRCAM in Paris, running the MIDI and Synthesis studio. Moving to Santa Cruz in 1995 Dave worked with E-Mu Systems on the development team for several important instruments including Morpheus, and Emulator 4. In 2002 Dave once again teamed up with Yamaha Corporation of Japan to work on the company’s FM chip for mobile phones, developing ringtones and alerts. Since 2011 David has been teaching electronic music production at Shoreline Community College in Seattle, while continuing to play demanding jazz with his quartet RedShift. Dan McFarren holds a bachelor's degree in Digital Audio Technology and has worked as a sound engineer, video editor, DJ, and writer in the modern electronic music sphere. Dan has been Product Marketing Manager at Plug-in Alliance for almost three years. Meredith Allen is an educator and an international presenter. She currently works as an Instructional Technology Consultant, Education Ambassador and Account Manager for the collaborative, online DAW, Soundtrap. 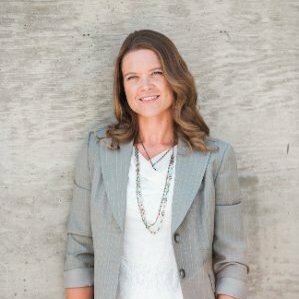 Prior to her work with Soundtrap, Meredith taught instrumental music, technology and virtual reality. She is currently located in Iowa, has two little music maker daughters and enjoys traveling. They say it’s impossible to learn much when you’re scared. And certainly who, as they struggle to balance their checkbook, can ever forget their sadistic math teacher or the mean spirited gym teacher as they trip over both their left feet… The corollary of course is the inspirational English teacher who routinely gets thanked as the Pulitzers are being presented. Instruction is most effective when it’s delivered relaxed, measured and positive. Alan Parsons might initially look a bit like a big scary guy; thick mane of hair atop his 6ft 5in generously proportioned frame. But though some measure of shock and awe may linger through the day, this will predominantly be thanks to the amount of stuff you’re learning and gathering. The key ingredient in any Master Class is hang time with the Master. Not hang time in terms of swapping jokes or sharing the peanuts but considered, observational hang time where you’re able to pick up on the vibe, the pacing, the approach to the day’s proceedings. Anyone can feel (or even say) ‘The chorus comes in too late’ ‘You’re early on the downbeat’ or ‘The kick drum is a bit muddy.’ But how and when to voice these thoughts? If the writer, or artist, or engineer feels the narrative is a discussion between equals and not a directive issued from on high, that could be the difference between good day or a great day in the studio. Possibly even between a good and a bad day? Possibly between a hit and a ‘yeah whatever’. These days it can seem everyone has the same information available to them and to some extent we have. How to mic a snare (“use a 57”), how to record upright piano (“point a pair of AKG C12’s at the back from a foot and half away”) but exactly where to point the 57 on ‘this’ snare, how much stereo to shoot for on the upright are the details on which the devil bases almost all his levels of success. And these are hard to get from a book alone, or even from a skilled instructor who’s not (or maybe just not yet?) 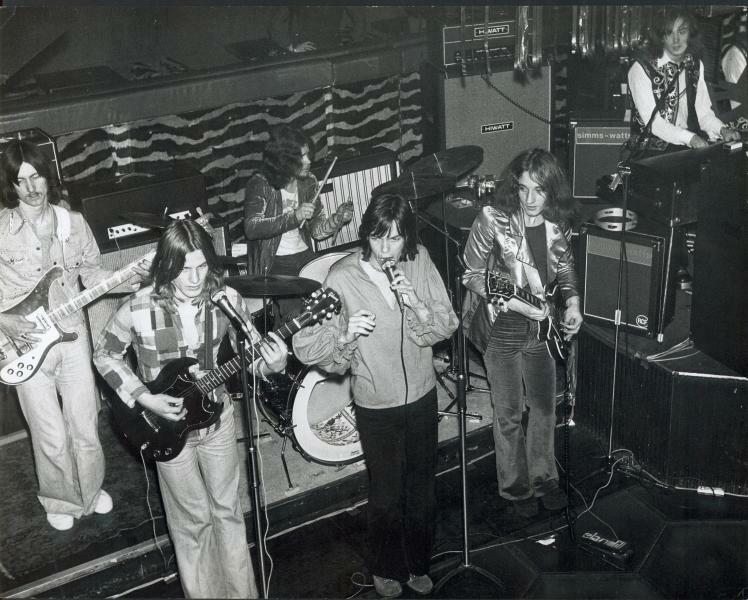 had the privilege of multi-platinum puddings in the proving of their mic positionings. The beauty of MCTS events is that there’s time and opportunity to ask and get answers, to live and learn. And also to contribute. At a recent event at a university in Mexico City some 40 producers-in-waiting were squeezed into the control room and when Alan played the demo du jour in order to tweak the song’s arrangement he began: “So what do we feel about the chorus? Anyone feel it should get there earlier?” Immediately ideas were flowing and in under a minute a consensus was formed as to not only when but how the track could hit its first big moment. MCTS events are both hands-on and feet on the ground affairs. In fact knees on the ground as often as not. Alan is not averse to plonking himself down on the floor to nudge a mic a half an inch to the right so that it’ll escape the worst of the spill from a neighboring sound source. He’ll also tell you why, sometimes, having two sources physically closer can help minimize the problems of separation because you’re not also at the mercy of timing delays. Having started working with Alan more than thirty years ago when MIDI was scarcely more than a knowing glint in Charlie Steinberg’s eye, and then having worked as both scribe, sounding board and co-conspirator on the Art & Science Of Sound Recording project, I’ve lost count of the number of moments in an AP session where the muse and the magic starts to flow. Sometimes you’ve got to be quick and really pay attention to ‘what just happened’. Alan is not going to bang a gong (literally or figuratively) and either telegraph every move he’s making or make some big deal of it after. So much of what makes a great producer or engineer is taste and instinct that the observer needs to keep their wits about them in order to distill a particular moment into tangible lesson form. Much of what Alan Parsons is all about he learned at Abbey Road, be it overarching concepts like ‘value for money’ or the particular, like miking a concert Grand piano. At all levels, benefiting from Alan‘s lifetime of experience in two day’s worth of work is going to be an exhausting and exhilarating experience for us all. There was no such thing as ‘networking.’ Back when I was 19 and ‘unsigned’ to label or publisher, the band simply sat around scouring Melody Maker or NME for who was who and what was what; listening to the radio, playing records, plotting our next move towards being ‘discovered’. There was a certain amount of bliss in that ignorance. We weren’t stressed out trying to get an introduction to every executive on the planet or having to spend a fortune on Google Ad words because the internet didn’t exist and there was precious little chance of being able to meet any executive, by any means, much less a flotilla of them. 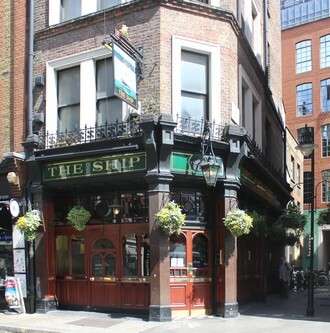 We knew, for instance, that a certain record company liked to drink in a certain pub on Wardour Street in the heart of London’s Soho; The Ship. So, in what now seems more nitworking than networking, the band decided to pile into the pub one night in order to try and engage various members of the label in conversation. We discovered that most evenings the crew went from The Ship to the Marquee club a few doors down to catch some live music, albeit through a beer-smeared window between the room and the bar, and finally onto ‘the speak’, or The Speakeasy as this dimly lit after-hours den of iniquity was officially named. That was good information. Or data as we call it now. Regardless of how good the information or data was, a gig at The Marquee could only be got by one of two means: fame or cash and we had neither. However, we did have a friend with money. And subsequently he (Gary) kindly put up the cash to get us onto the calendar. As we launched into our set our manager managed to pry, for at least a song or two, the reluctant label boss and his cronies out of the bar and onto the floor. They were intrigued, they called a meeting, they paid for a demo to be recorded, and we totally ignored their instructions about what to record. But, they loved what they heard and duly signed the band. A career was launched. Could it happen again today? There’s a lot of missing parts in today’s equivalent, for sure. But today there’s also a ton of new and rather more seemingly scientific arrivals: strategies, seminars, platforms, apps, all knitted together in one giant networking sweater to protect you and then project you into starasphere. With only 24 hours in everyone’s day you have the choice of seeming to do something, or actually doing it. Like the choice of calling your friends when you’re on the beach to say what a great time you’re having… as opposed to actually having a great time on the beach, i.e. without your phone or friends who didn’t want to haul their asses off the couch and join you..
All emerging artists face the problem of exposure, or rather the lack of it. The challenge is not just how to stand out but who to stand out to? You might think a target is easier to hit if it’s bigger but sometimes the opposite is true. If you narrow down your target of people you want to reach to, say, three, then you can devote a lot more energy (and guile maybe?) to reaching them. Like us boys down the pub back in the seventies. Entering a contest is a time-honored rite of passage. Even the much-ridiculed Eurovision Song Contest has thrown up the likes of Abba, Celine Dion, Secret Garden and Lordi and others over the years. OK, so contests like Melody Maker’s Rock and Pop contest did throw up (in possibly the other sense too) bands like Splodgenessabounds, Bite The Pillow, and Robert And The Remoulds, none of whom took much of anywhere by storm aside from Splodgenessabounds of course—who can forget the punk anthem "Two Pints of Lager and a Packet of Crisps Please"? On the other hand contests like American/British/Lithuanian Idol have been relatively extremely successful in kindling new music careers. And by no means just for the winners. Which is my next point. Aside from some obvious benefits to winning, entering a contest is a great way to just focus on who you are, what you want to do, sound like, be comfortable being categorized as. It’s a goal, a target, moreover one of the ones that falls into the second definition: relatively easy to if not score a bullseye on, to at least hit some useful vectors or quadrants. Above all, entering a contest is a statement of faith: Here I am. This is me, or us. In today’s increasingly isolated recording world where entire musical lives can go unheard by anyone outside your immediate family, entering a contest gets you out of the house, metaphorically and hopefully literally. Entering a contest takes a different type of effort, which is precisely the point, and it’s effort with a nicely sharpened focus. Bit like that pint at The Ship. 1. Decide who’s in charge. Me, you, all of us by committee decision? It doesn’t really matter so long as everyone knows who’s calling the shots. 2. WRITE THE SONGS. Unless you’re a jam band and songs are not really the point, write—and finish—the songs before you start recording them. Just because technology lets you write on the fly doesn’t necessarily make this the best way to go. 3. Beg, borrow (maybe not steal) as much gear as you can. You can never have too many mics, amps, pedals, so call around to friends in the neighborhood and see if you can snag some loaners for a few days. Look after the gear you borrow. 4. Consider soundproofing and room acoustics. If you’re recording in your bedroom or garage you’re realistically not going to be able to get the place soundproofed. But you can block up holes (think of soundproofing like waterproofing. If there’s a hole, sound [or water!] can and will leak in and out). If you’re recording in a symmetrical room sound waves are going to bounce around and give you a false picture of what your recording sounds like. Read up on this a bit and maybe pick up or construct some bass traps. In this instance, a little knowledge is not dangerous at all. A little goes a long way. 5. Think about how you’re going to record vocals. Vocals are the song’s shop window. It’s the first thing people latch onto. First, make sure if it’s a ‘singer’ that they can sing well in the key you’re playing at. Don’t just rely on Auto-Tune! Also make sure the singer is rested and does not eats gobs of dairy the day before or of the recording. Finally, figure out where you’re going to recording him/her. Closets can make great vocal booths. Seriously. 7. Check your equipment is in good working order. Fix crackly pots and channel faders (use an air duster, then a lubricant). Update your computer and recording software (but not 5 minutes before you start as updates can also cause at least temporary problems too). Make sure you have spare guitar / bass strings. Ideally, put on a new set of strings on any stringed instrument you plan on using. 8. Download everything you think you might need. Loops, instrument and effects plug-ins, patches, the new version of Melodyne you’re been promising yourself… Don’t spend precious recording time downloading stuff. 9. Look out all your widgets, gadgets, doodads and adaptors: Mic clips, a mic stand, a music stand, a string winder, your wallwarts, footpedals, cables… It’s The Law that the one cable you need—that stereo eighth inch mini jack to dual RCAs or whatever—will not be where you thought you last saw it when you need it in the heat of battle. Locate all of this stuff. 10. Print out the words/lyrics. 1. It’ll force you into completing them. 2. It makes it so much easier to identify sections you need to repeat, or makes changes to etc. 3. It’ll help everyone ‘keep in touch’ with the meaning or purpose of the track. 11. Decide on the credits. Music history is littered with musicians who felt they wrote or contributed to songs they ultimately were not credited for (Rolling Stones bassist Bill Wyman claims he wrote the guitar riff on Jumpin’ Jack Flash and was not credited for it, etc.) and basically once you leave the recording session ‘un-credited’ that’s how it’s going to remain. Have that conversation now or, as many sensible bands do, simply pre-agree that if you were in the room/band when a song was being written, you are a co-writer. Either strategy can save a lifetime of heartache or litany of legal fees afterwards. 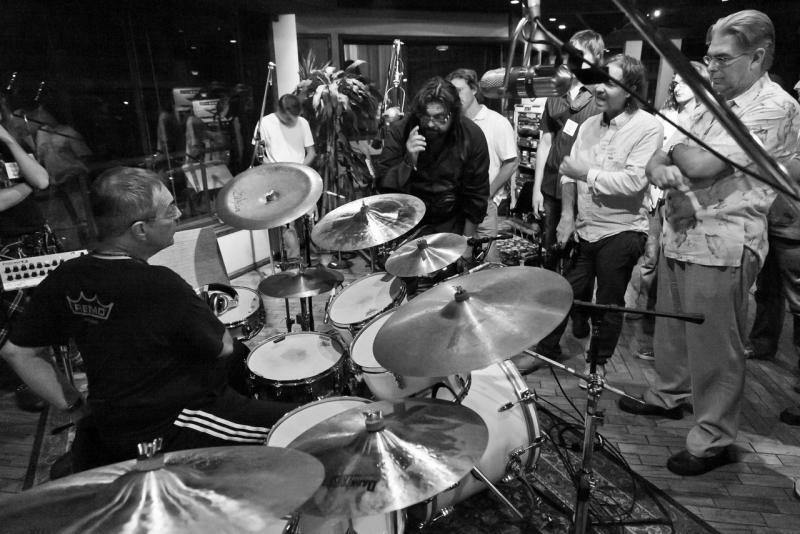 Held at Estudio Piajet on the walled and heavily fortified Mexico City campus, shifts of 30 students at a time piled into the control room for a morning or afternoon session with Alan and Latin GRAMMY-nominated Tren A Marte for the recording of a new track Yo Queria.